Skillz, the worldwide leader in mobile eSports, today announced a suite of solutions for brands to engage consumers through mobile eSports, including the opportunity to host brand-sponsored tournaments. This is the first time consumer brands have had the ability to reach and engage the Skillz audience of over 10 million people. The new offerings for brands include the ability to sponsor mobile eSports tournaments across thousands of Skillz-enabled games. Brands can sponsor an entire game, or choose to sponsor specific tournaments within a game. They are also able to host and sponsor physical events where players can compete at in-person tournaments, or work with social influencers via live-streamed events on Twitch, YouTube and other streaming sites. The eSports industry is projected to reach $5 billion in annual revenue by 2020, according to Activate. Established brands like Coca-Cola, Intel and Snickers have already gravitated toward eSports through various sponsorships and are helping bring more attention and viewership to the rapidly expanding industry. According to Newzoo, the total eSports audience is expected to reach 292 million by the end of 2016. The rise of mobile eSports has pushed the sport further into the mainstream through creating opportunities for the world’s 2.1 billion mobile gamers. By working with Skillz, brands can reach an audience that is larger and more diverse than the traditional eSports market. The Skillz user base is 49 percent female, as opposed to just 19 percent for the industry as a whole. The new sponsorship opportunities from Skillz will continue to broaden the market, fueling the growth of the industry’s prize pools while allowing brands to connect with the next generation of athletes and fans. Skillz is the leading mobile eSports platform, connecting the world’s 2.1 billion mobile gamers through competition. As the eSports provider for over 1,600 game studios, Skillz accounted for more than 20 percent of all eSports prizes awarded in 2015 while broadcasting 8.5 million minutes of gameplay to spectators worldwide. Skillz makes games better by powering the competitions that players love and giving developers the chance to turn their game into the next great electronic sport. 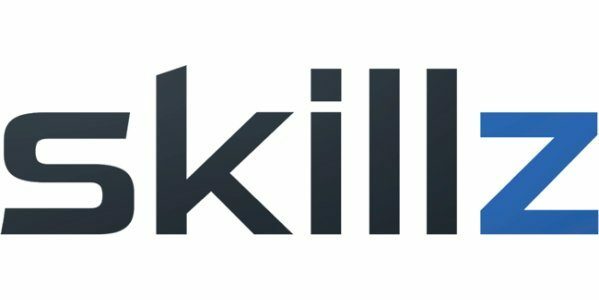 Founded in 2012, Skillz is headquartered in San Francisco and backed by leading venture capitalists as well as the owners of the New England Patriots, Milwaukee Bucks and New York Mets.